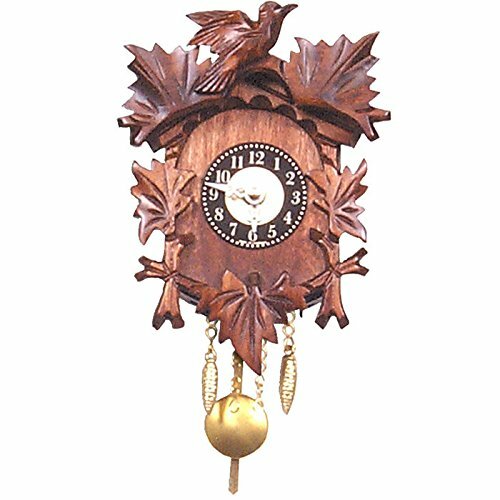 Black Forest carved clock – battery-operated movement – 1 year guarantee – made in Germany – uses one “AA” battery (not included). uses one “AA” battery (not included). Dimension: 5″H x 4.25″W x 2.75″D.